As deforestation continues to threaten the few rainforests that remain on the planet, it is absolutely urgent to understand how these forests develop and thrive. By studying the complexities of these ecosystems, it is still possible to mitigate the destruction humans have caused. 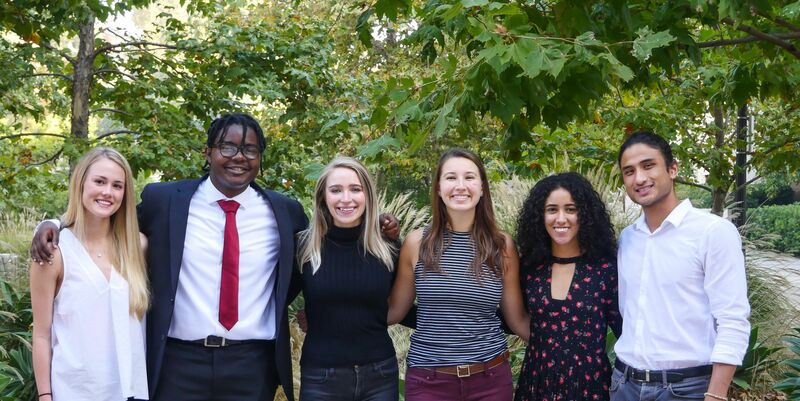 Over the past two years, UCLA Senior Practicum students in the Institute of Environment and Sustainability (IoES) began investigating sustainable ebony production in Cameroon. Now, we're continuing the important work they started by creating an economic model for sustainable ebony production that is advantageous for local communities, producers, and consumers. However, developing this model requires field research, and we need your help to make this possible. We are a group of UCLA Environmental Scientists who are determined to mitigate the rapid destruction of rainforests - the “Earth’s lungs” as we know it. We have partnered with Taylor Guitars, one of the top acoustic guitar brands in the world, to guide our studies on Ebony tree farms in the Congo Basin. In the spring of 2019, our research team will travel to the Congo Basin Institute in Cameroon to work closely with the local communities, collect ecological data, and see the impact of our research firsthand. Your donations will directly fund our airfare, meals, transportation, and the specialized research equipment we need for our research. YOUR support will drive sustainable ebony production forward businesses around the world and change the fate of local communities who are dependent on ebony production for their well-being. Not only will you be directly involved in promoting sustainability within these communities, but also will have the chance to win numerous prizes such as a Taylor guitar mini, t-shirts, coasters, and the esteemed opportunity to meet the owner of Taylor Guitars, Mr. Bob Taylor, on a tour of one of the Taylor Guitar facilities! Our goal is to set a precedent for businesses to more sustainably harvest and produce ebony and other hardwoods in the Congo Basin by researching the ecology of the trees and region, exploring the dynamics of their local and global trade, and supporting our findings with published literature, environmental modeling, and field research in Cameroon. For ebony production to truly be sustainable, our strategies must factor in the livelihoods of the people involved, the political and regulatory environment of the community, and the true economic value of ebony in an international context. This research will also illuminate what can be done for similar hardwoods in Western Africa and around the world, which will provide valuable guidance in the future of agroforestry. How We Are Going To Do This? 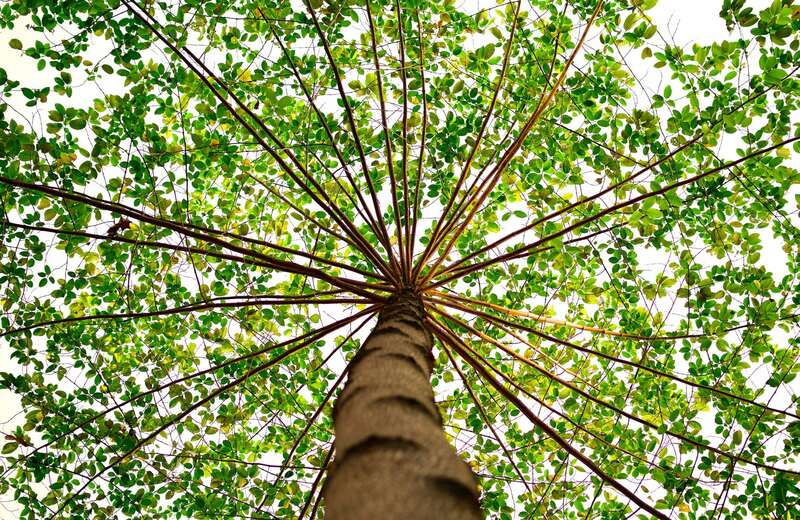 Our plan involves finding best methods for reforestation and agroforestry, exploring techniques for incentivizing growers, better illustrating the market for ebony, and modeling how to improve the efficiency of its use. This project will help change the practice of forest governance, improve community buy-in, and create accountability for forest policy makers, all while addressing the rights and needs of indigenous communities. We have all spent the last four years dedicated to learning more about the environment and our role as individuals in the world at large. We are absolutely thrilled about this opportunity to work with a multinational corporation, apply the conceptual frameworks from our classes, and create a tangible impact in our global community. We have yearned for an opportunity to do hands-on work outside of campus before we graduate in June 2019. Even though we each bring to the table different specialties, including biology, atmospheric science, geography, economics, and engineering, we are aligning our strengths to develop an interdisciplinary approach to sustainable forestry. Collaborating with researchers at the Center for Tropical Research and UCLA's first international affiliate, the Congo Basin Institute, we will be working on expanding our understanding of the economic and ecological facets of ebony production and applying the knowledge gained to further refine the ongoing strategies for a sustainable, cooperative, and mutually beneficial ebony production. Every donation counts! To thank you for helping our research team get to Cameroon, Africa, our team will send you a UCLA *8* Clap of gratitude. In return for helping us achieve our goals for this project, you will receive a shout-out on our team's Facebook page thanking you for your donation and generous support of the cause. As a thank you for donating, our team will send you a personalized video thanking you for your support. To thank you for your donation, we will be sending you a handwritten thank you card written by one of our team members and signed by the entire research group.